The anti-terrorism drills involved troops from China, Russia, Kazakhstan, Kyrgyzstan and Tajikistan. 7,000 troops from five countries are in China this week as part of the Shanghai Cooperation Organization’s (SCO) “Peace Mission 2014” military drills. The Shanghai Cooperation Organization is a regional multilateral body consisting of China, Russia, and the Central Asian states of Kazakhstan, Kyrgyzstan, Tajikistan and Uzbekistan. This year’s military drill included troops from China, Russia, Kazakhstan, Kyrgyzstan and Tajikistan in what Chinese media called the largest SCO drill yet. The drill was designed to counter what China calls the “three evil forces”: terrorism, separatism, and extremism. As China has grown increasingly concerned about these “evil forces,” particularly in Xinjiang, it has highlighted these issues in multilateral forums as well as in its own domestic policies. The SCO, as its name implies, is China’s pet project, and thus a perfect place for Beijing to shift the agenda to emphasize its core concerns. As The Diplomat reported earlier, the drills represent the growing importance of military relations within the SCO. This trend was underscored by a meeting of SCO military officials in Beijing, held concurrently with the Peace Mission drill. Addressing the chiefs of general staff from the SCO members, Chinese President (and Central Military Commission Chairman) Xi Jinping expressed his hope that the SCO can play a larger role in “enhancing security, economic development and people-to-people exchanges” in the region. Xi focused in particular on the defense ties between SCO members, praising progress made so far and urging continued development of mil-to-mil relations. Xi said that China “attaches great importance” to the SCO’s role in maintaining regional security. According to Russia’s Chief of General Staff, the talks in Beijing focused on the security situations in Iraq and Afghanistan, and how the SCO can promote stability in the region. Despite this focus on security and military relations, Wang Ning was quick to refute the idea that the SCO is becoming a military alliance. 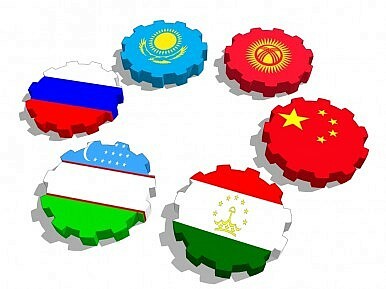 He said that SCO remains a broad regional organization that is “non-aligned, non-confrontational and not targeted at any third party.” Previously, Chinese leaders have rejected the utility of alliance networks, particularly the U.S. alliances, as destabilizing the region as a whole for the benefit of alliance members. Having dismissed military alliances as “not conducive to common regional security,” China wants to avoid the perception that SCO is becoming a NATO-like military alliance group. China Deploys Drones in Xinjiang VJ Day in ChinaFirst Xi-Modi Meeting Sets Tone for China-India RelationsChina's Xinjiang Province Eyes Anti-Terrorism LawWill Xi Jinping Visit North Korea This Year?